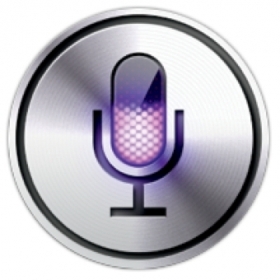 Apple's Siri gets behind the wheel -- who wins and loses? SAN FRANCISCO (Reuters) -- Apple is taking Siri on the road. As the consumer device maker doubles down on its popular voice-enabled personal assistant software, it is looking at another large market to drive rapid adoption: cars. Apple Inc.'s new in-house Maps service along with free turn-by-turn navigation feature and real-time traffic updates converts the iPhone into a valuable navigation device -- one of the most popular features on Google Inc.'s Android gadgets. Combine that with the new "Eyes Free" feature -- where drivers talk to Siri with the tap of a button on steering wheels -- and analysts say the iPhone has the potential to disrupt the car electronics and navigation market. Using smartphones for directions and music is not new. In-car navigation systems have been on a steady decline as more and more drivers prefer to use the mapping service in smartphones, particularly Google maps. Apple's move to lend its technology might to connect the car to its iPhone in an easy-to-use manner could give a big boost to the adoption of Siri and further entice consumers deeper into its app ecosystem. It makes the iPhones more valuable to the user, said Mark Boyadjis, infotainment analyst with IHS Automotive. "To be able to access it hands free and eyes free in the car will be an asset and will enable the Apple device to be continually more relevant in the car," he said. "This is an important movement forward." The integration is a win-win for both the carmaker and Apple, said Scott Corwin, vice president of Booz & Co.'s automotive practice. "The manufacturers are tying themselves to something that has a very positive impression with customers," he said. "For Apple, it helps to solidify market leadership with this technology." Apple tweaked several features in its mobile operating system on Monday, enhancing its ecosystem and bolstering its arsenal as it tries to keep its hardware ahead of competition from Google's Android device makers such as Samsung Electronics Co. The rivalry is shaping the evolution of the mobile industry with the two companies -- once friendly -- increasingly challenging the other in various sectors, including maps, voice-enabled search, apps and digital content. The shares of Harman International Industries Inc., known for its audio devices, fell as much as 10 percent on Tuesday after Apple outlined plans to make Siri available in cars. The shares of rivals such as navigation system maker Garmin Inc. and TeleNav Inc.'s also fell in tandem. Vehicle navigation systems maker TomTom NV bucked the trend with a 15 percent rise as it struck a deal to license its maps to Apple. The market for so-called auto infotainment technology -- everything from navigation and audio systems to screens to chips -- is sizable. Revenue this year is projected to surge to $33.5 billion, and growth will be even stronger in the next four years, ranging from 4.7 percent to 6.4 percent, according to IHS iSuppli. Already, at least eight automakers -- including Audi, BMW, General Motors Co., Honda Motor Co., Mercedes and Toyota Motor Corp. -- are considering using Apple's Siri button on the steering wheel or dashboard in the next 12 months. GM, Honda and Toyota confirmed plans to use the technology, Automotive News reported on Tuesday. The button will allow drivers to access their iPhones to call people, play music, hear and dictate text messages, ask for directions, find calendar information and more. But while Apple's move is a serious threat, both automakers and analysts said it does not spell the end for in-car navigation and entertainment systems. Automakers will be loathe to give up complete control of in-car internet access to phone manufacturers, given they are worried and liable for driver distraction, analysts said. Also, the embedded system suppliers, such as Harman, have been working to diversify with consumers increasingly opting for free or cheap navigation software. "Harman, Telenav -- what they are supplying to the car is a combination of voice input, offboard search and screen-based output, which is much more than what this integration with Siri is going to be," Boyadjis said. "The 10 percent drop that some of these companies experienced in the market today might be a little bit of an over reaction." Audi, one of the carmakers that is working with Apple, sees Siri on the steering wheel as an experiment. "We are working with them to see how it would work, but we don't have anything concrete yet to report," Audi spokesman Brad Stertz said. "I don't think it's going disrupt or stop other efforts to pull together more unified navigation-infotainment systems." GM will be offering the service initially in its entry level vehicles Chevrolet Sonic subcompact and Chevy Spark minicar after having found that 70 percent of all new-car buyers want some form of connectivity in their vehicles. But GM also has a smartphone app called GoGo Link -- for $50 -- made by South Korean firm EnGIS Technology that connects any smartphone navigation system onto the car's dashboard screen, providing internet connectivity to the car. "In this application, the iPhone appears to be designed to complement existing infotainment offerings," Baird analyst David Leiker said. "This does, however, underscore our view that integration of smartphones into vehicles is the greatest risk to embedded infotainment systems."